← Welcome to My Hat Affair! I was invited, along with a number of my friends, to a social networking event at the restaurant. I wore a very special hat. 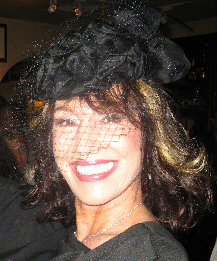 It’s a black satin cocktail hat with a bow angled in the back and a net that sweeps gently across the face – oh so elegant. My friend Carey picked out a simple, straight black dress that she felt was perfect for this hat. She was right. After adding the very high patent leather peep-toe heels, I felt very chic. My friend Shirley suggested that we go to the event an hour early in order to get a seat at the piano bar. She loves to hold court there, sipping her slightly dirty martini while her countless friends amble over to hear one of her latest “stories”. She has many stories… Sometimes I think she’s as good as Meryl Streep in “Out of Africa”. I, of course, was there for the hat compliments. I was the only one wearing a hat, which is typical for my outings. I hope to change this as you read my blog and you recognize that wearing a hat can come with some interesting and fun benefits. I can report that, as expected, I had many good conversations. First to approach me was Mark who worked for a carpet company. To quote a famous line, he had me at hello. Maybe because he used words like “exotic” and “mysterious”, and actually meant it. I mean, really, could you walk away? He explained that his father had owned Hickles Department Store, in Lancaster Ohio, and that their hat department had more than 1000 hats in stock. I could hardly imagine such a big “hat playground” and it’s a good thing that my paycheck and that store never got to know one another. Another guy who commented on my hat bought me a glass of wine. He then introduced me to Randy Crowder. 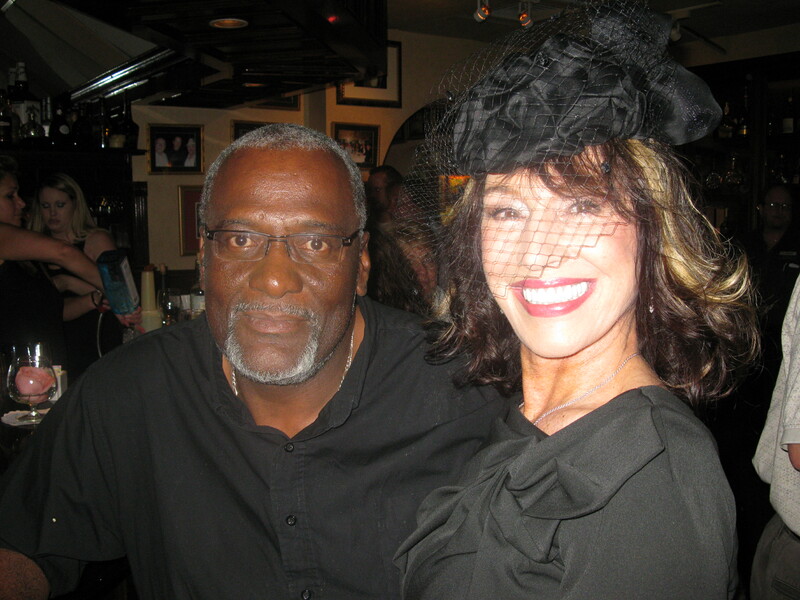 Randy is a former Tampa Bay Buccaneer football player. He was interesting to talk to and had a great sense of humor. As I spoke with him, I wondered, if they miss the “Glory Days” – the fans, the excitement, the notoriety? There are several advantages to sitting at the piano bar if you are lucky enough to have one somewhere in your city. It makes it easy for your hat admirers to just walk up to you and offer to buy you a drink. Also, you may have a talented and wonderful artist like Kitty who will let you sing. If hats are my first love, and they are, singing is my second. Not that I’m very good, but it’s such a thrill to sing some of the songs that my mother used to play on her piano. Listening to piano music – Wonderful. Singing with piano music – Fabulous. Singing with piano music wearing a hat – Priceless! This blog is about my life-long passion for wearing ladies hats. I will be blogging on a year-long event series that features my prized hat collection. This entry was posted in Entertainment & Fashion, Ladies Hats. Bookmark the permalink. 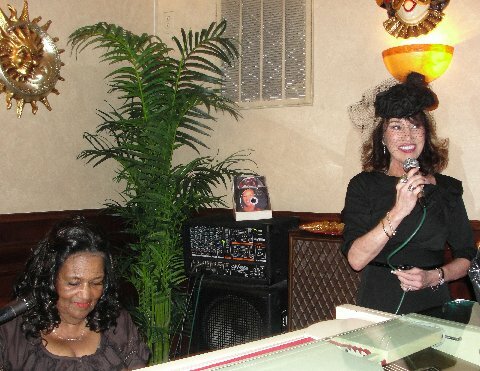 What a fun night that was…..assuming our usual place at the piano bar with Kitty entertaining us. You looked fabulous in your hat, as usual! Keep the blogs coming…..and remember I shall be there on this journey with you as your friend and unofficial photographer………..when needed! You are so lively and fun. 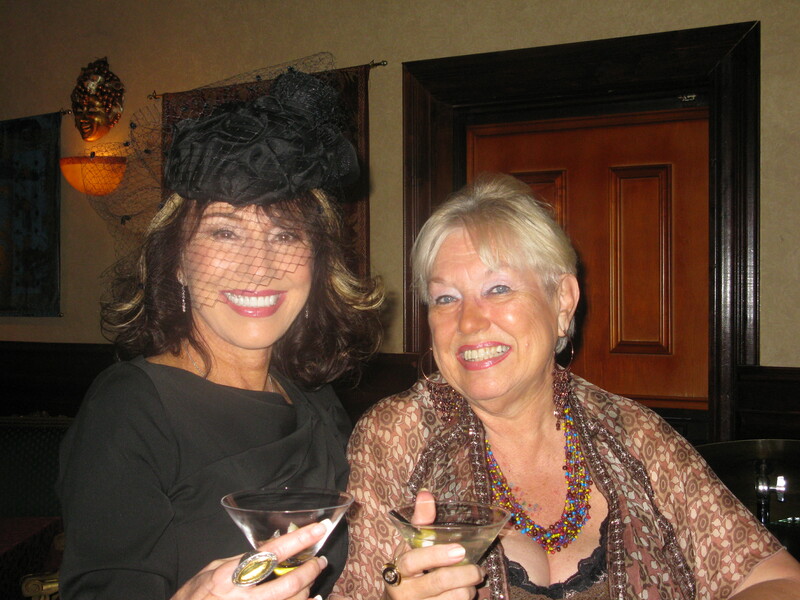 I will follow your blogs and keep watching for more beautiful hats and the stories that go along with them. I just wish I looked as good in a hat as you do. I’m looking forward to the upcoming events. So keep on blogging. I hope you put my photo on as your first of your many “hat converts”. 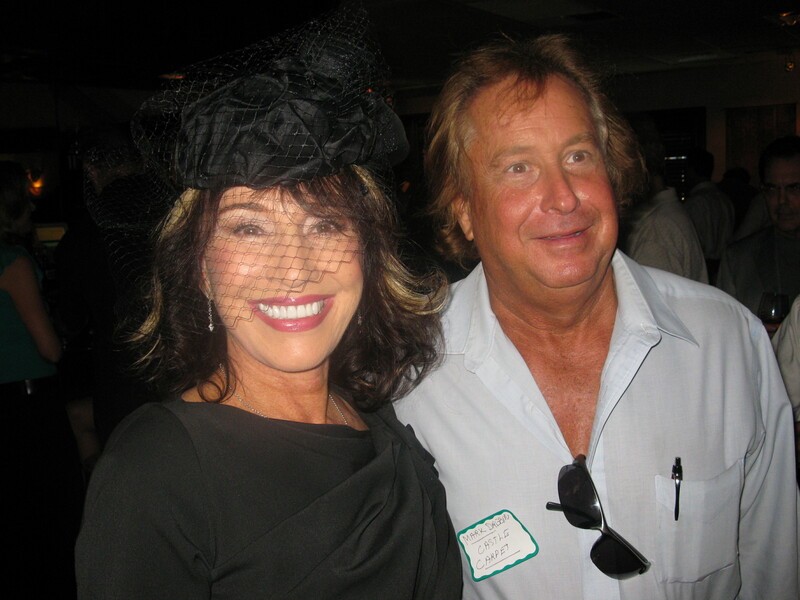 I have always loved hats – and gloves (next time) – and I will search for some very interesting hats for all to enjoy!!!! This one was just a spur-of-the-moment to brighten your day!! Love your love of fun!!!!!!!!!! You truly are my first “hat convert” Maria. I’m working on the blog today and you will have center stage. So many women I have met have hats in their closets and soon they will be wearing them all over town! Hats are making a come back and I’m on a mission to help! Thanks for your comment and support.